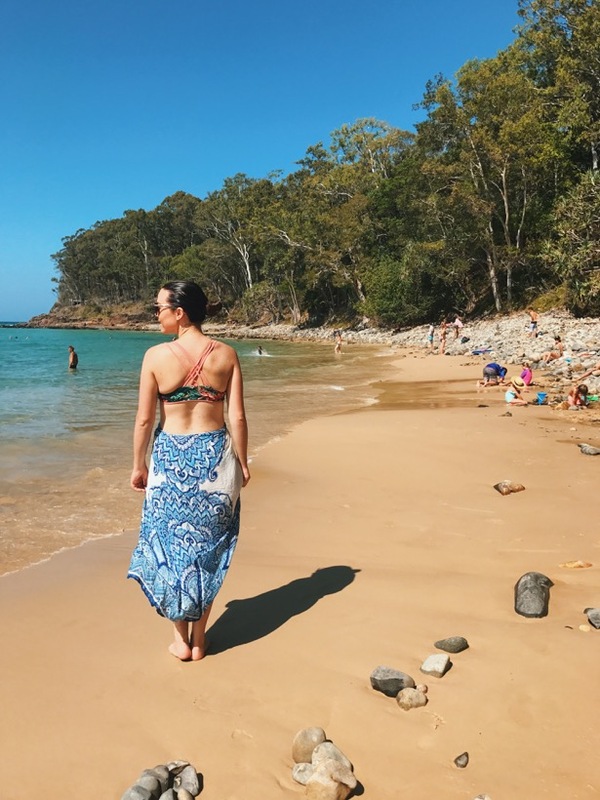 Noosa, Little Cove & Noosa National Park: I simply can’t count the number of times I’ve taken visitors and friends to this part of my home on the Sunshine Coast. I will tell you now: if you come to the Sunshine Coast and you don’t make it to the Noosa fairy pools, you’re crazy! This is to date, still one of my favourite spots in Australia. Every time you visit the Noosa fairy pools, you see it from a different perspective. 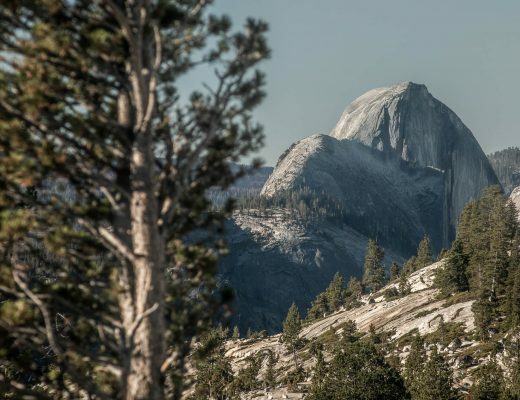 If you’re with nature lovers, you’ll notice the trees, wildlife and vegetation. If you’re with surfers, you’ll notice the sparking, clear water. If you’re with people from colder countries, you’ll notice the deep, blue and clear sky. Today, I was inspired by all three. Noosa, today you were a sparkling gem and I’m so proud to call you home. Well actually, my real home is Caloundra – a medium sized surfing town on the southern end of the Sunshine Coast. 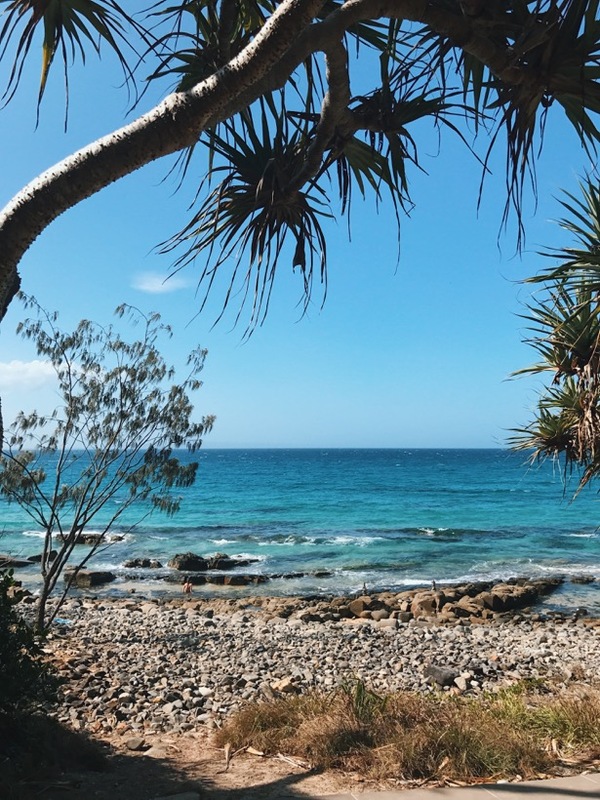 On the opposite and northern end of the Sunshine Coast, you’ve got Noosa. 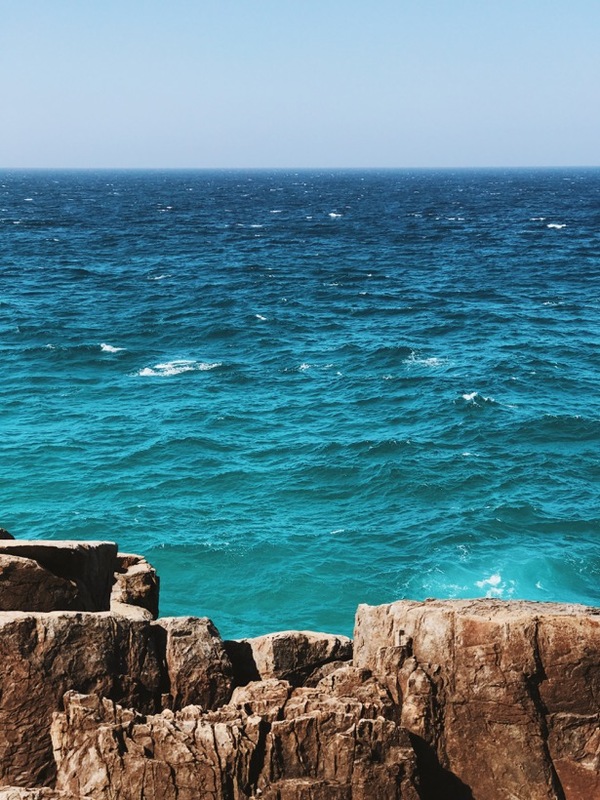 Anything in between counts as the coast too. 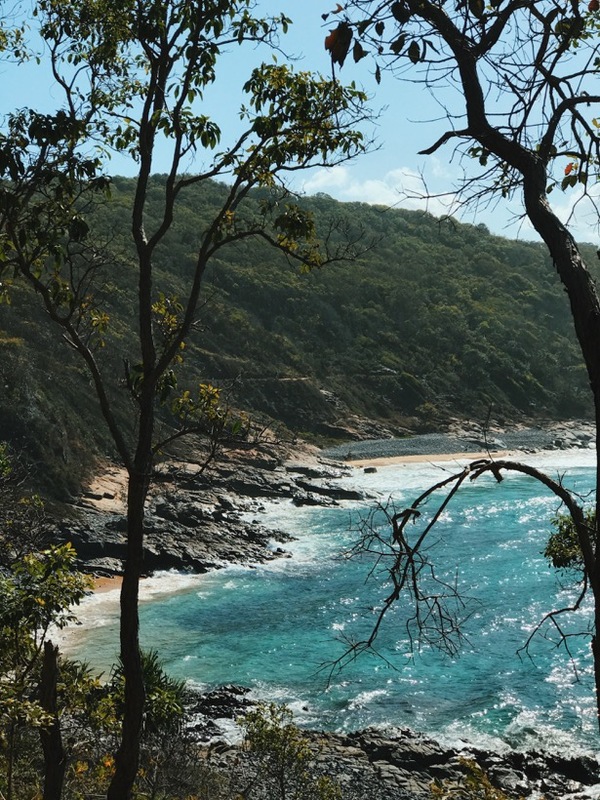 This entire metropolitan area accounts for nearly 300 000 Australians and there are many ways you can drive to the Noosa fairy pools. Yes that’s right. I said ‘drive’. If you come from a highly efficient, developed and adequately equipped country with fantastic infrastructure, you’ll laugh at Australia. The Sunshine Coast isn’t properly supported by train, so apart from a freezing cold and insanely long bus trip, you’re best off driving. If you’re a follower of my last entries, you’ll know that I’m a big supporter of taking the back roads for that scenic view. Lastly, you can take the Bruce Highway. This is one of the only ways you can get from Brisbane to the Sunshine Coast and back. From Caloundra to Nambour the scenery is pretty same-samey. But luckily after Nambour, you’ll take the same road as if you were also coming from the Hinterland. The last 15 minutes of that highway is quite nice as you approach Noosa. 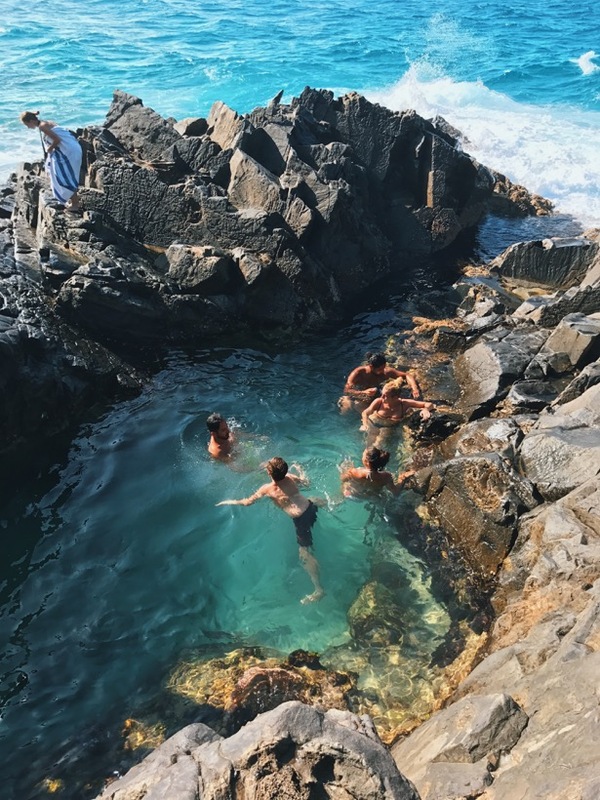 Once you approach the Noosa fairy pools, you’ll notice it’s pretty busy. The main street is called Hastings Street and it’s literally right next to the beach. 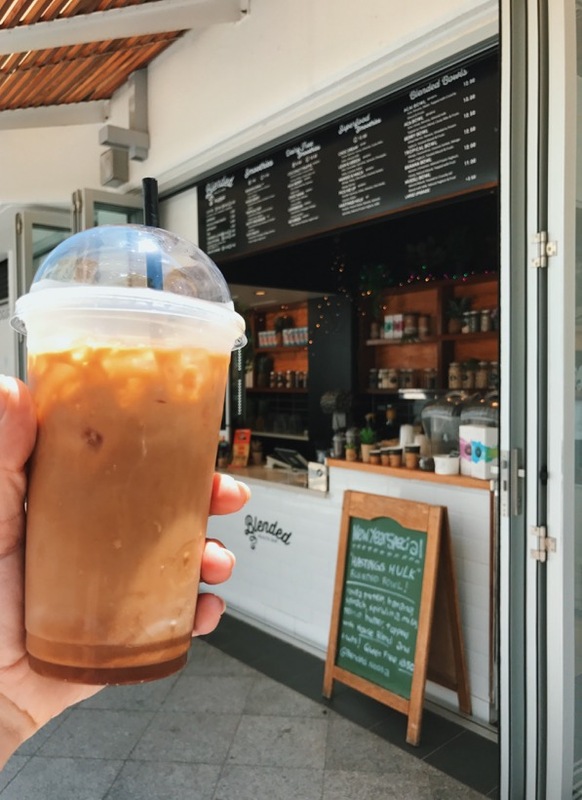 Take my special Kaptain Kenny insider’s tip….. type ‘Noosa National Park’ into your navigator and leave the centre of Noosa. You’ll find a parking spot easier and you’ll see a really special little beach with hardly any tourists. 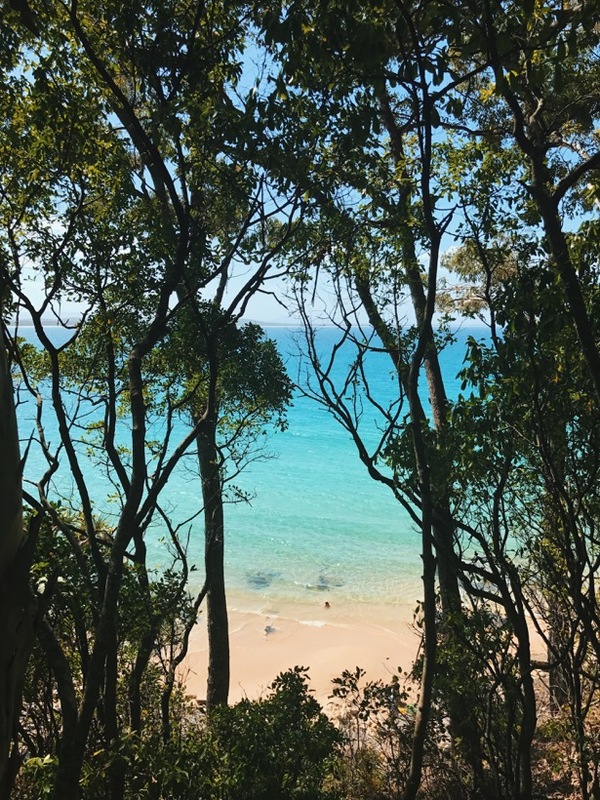 Noosa National Park – look at those beautiful Australian gum trees! 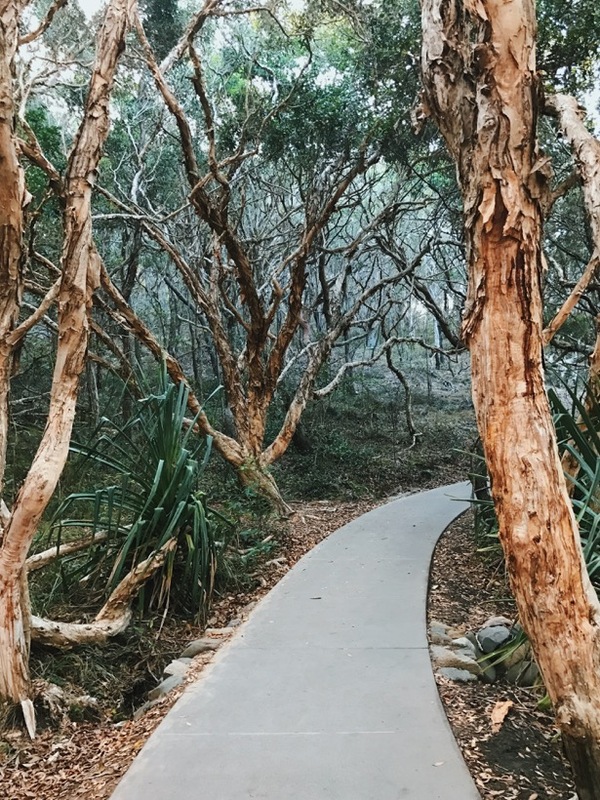 The Noosa National Park is stunning and full of many gorgeous Australian gum trees. Gum trees equal the possibility of KOALAS. (*And yes, we did spot a koala!) There are only 12 species of gum trees found naturally in other parts of the world. Have a guess how many Australia has? 700 native species of gum trees! One of Australia’s greatest treasures is her flora – a staggering 24,000 species of native plants have been identified compared to England’s 1700 native plants. You’re not wrong! On a day like today, Noosa was 39 degrees Celsius but felt like 45 due to 85% humidity. A lookout spot just around the corner from Tea Tree Beach. Second of all, the National Park is just moments away from Little Cove. 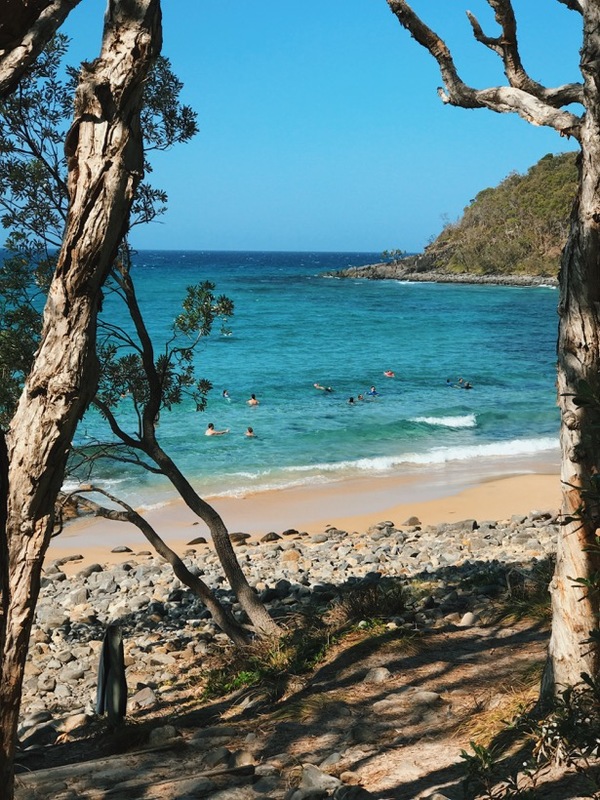 A perfectly little protected cove, only a 15 minute walk around the corner from the busy and over populated Noosa Main Beach. Take my second piece of advice and don’t bother with Noosa Main Beach! 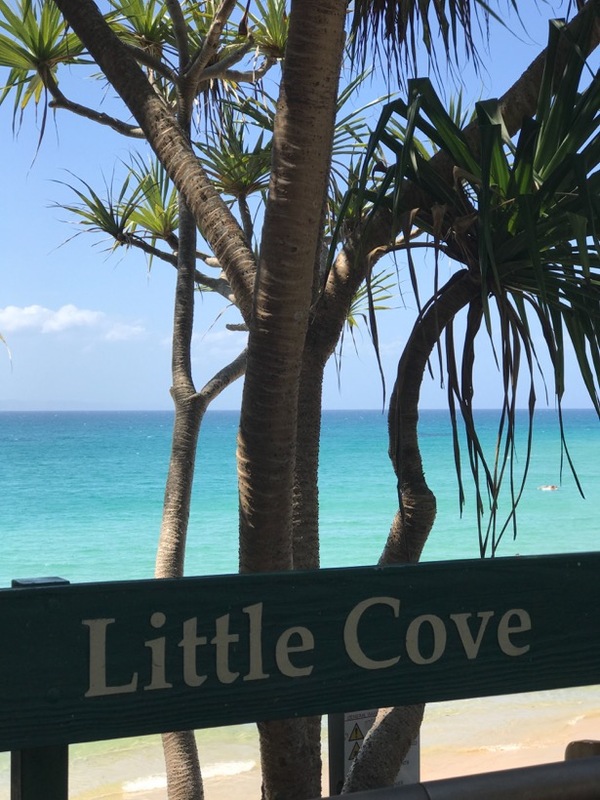 Noosa’s Little Cove is the only place you need. Think sparkling blue water where you can see all the way down to the sand, a backdrop of bushy gum trees and sharing the space with way fewer people. Can you believe I call this ‘home’? Standing at the cliffs near the Fairy Pools. 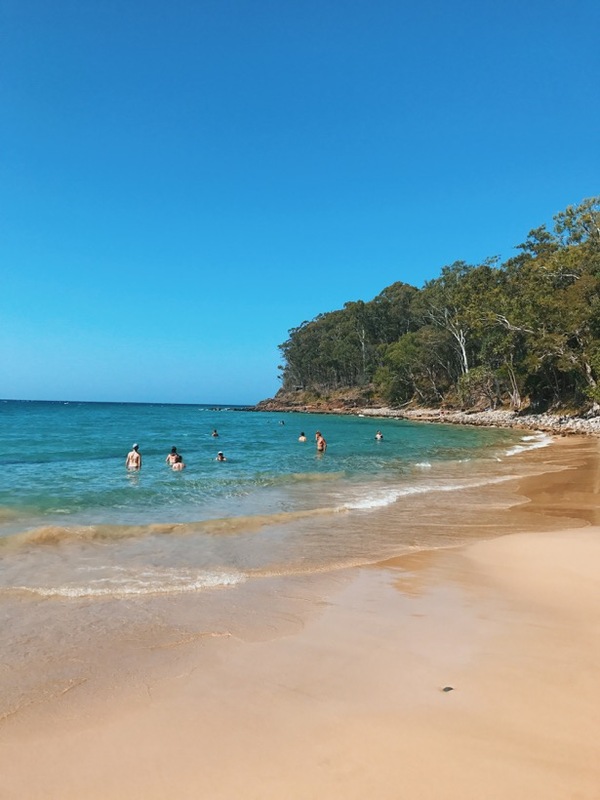 Not many people to share your beach with – Tea Tree Bay. After you’ve eaten, I’d recommend walking off the meal. 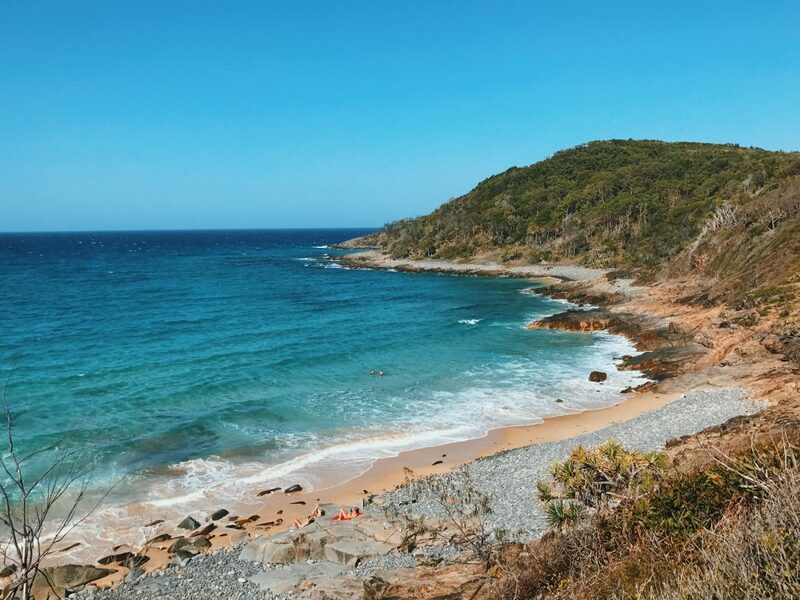 Put on your walking shoes and head straight back to the Noosa National Park. *NB* If you want to see koalas in this region, make sure you look up at the trees when you’re in the National Park. We did see one during the day and it attracted quite the crowd. Do not make the mistake of walking for the next 2 hours in thongs. (Thongs = an Australian word for rubber flip flops.) I did exactly this, got a painful blister between my toes and bruised the tendons in my foot slightly. Woops! 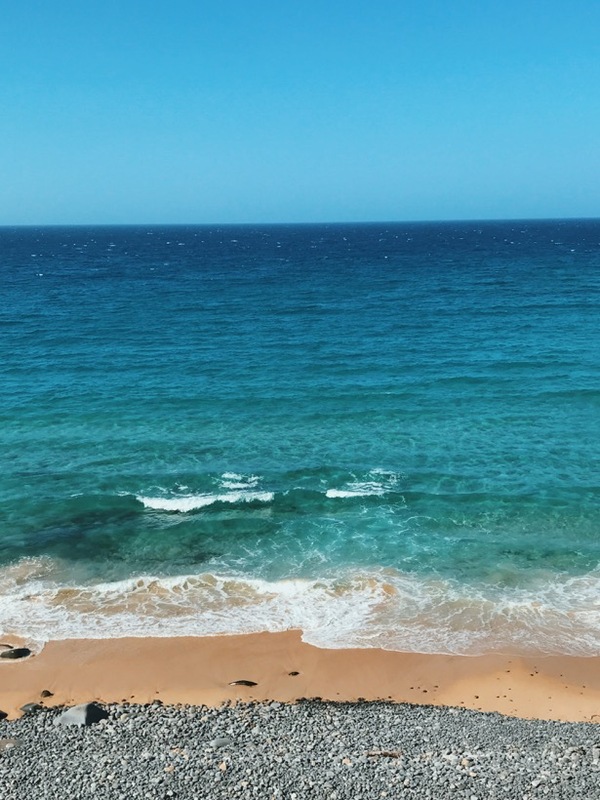 It could even be Hawaii – utter Australian paradise! Queensland has all the sunshine. 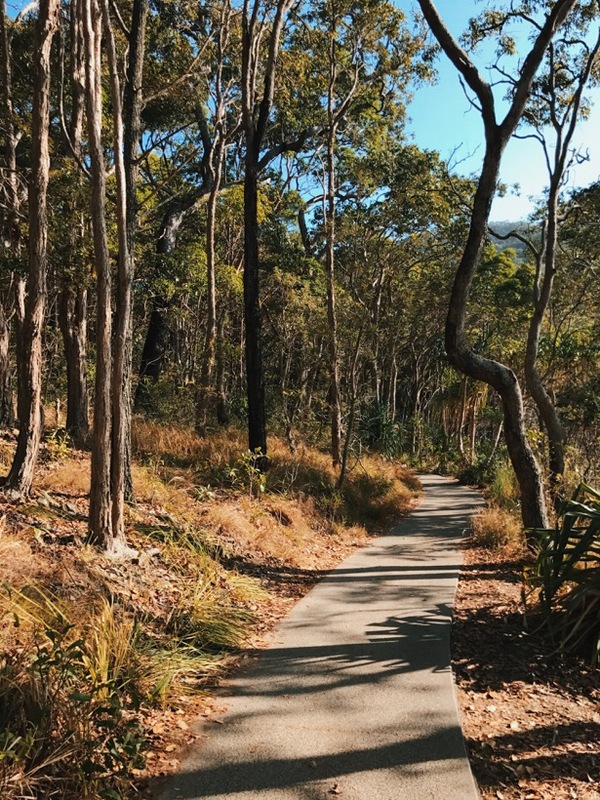 Once you’ve made it back along the boardwalk to the Noosa National Park, you should now continue along the path right next to the water. Following the path, you now want to make your way in the direction of the Noosa Fairy Pools. 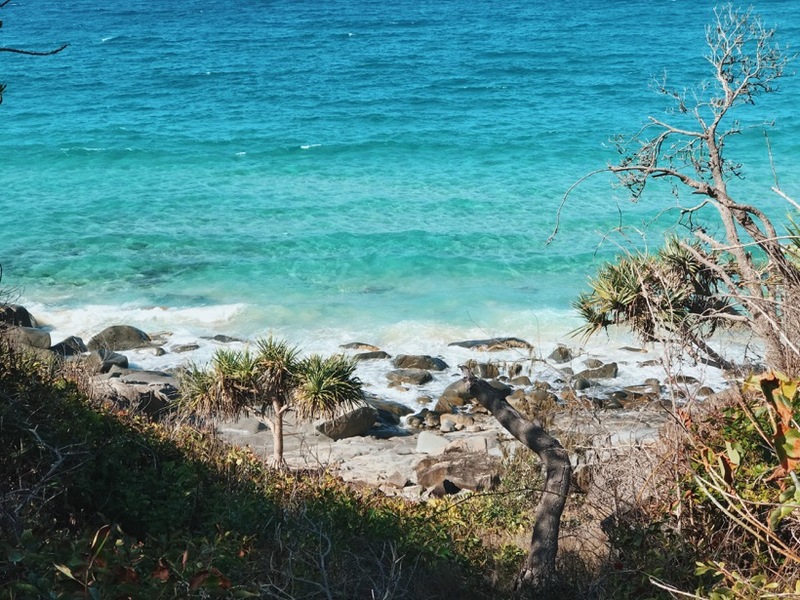 Standing and looking out at the ocean from the Noosa National Park. I seriously couldn’t get over these colours. Orange, yellow, turquoise, green – I’m in love! Even though I’d been to Noosa countless times, I’d always shown people the main street and Little Cove. 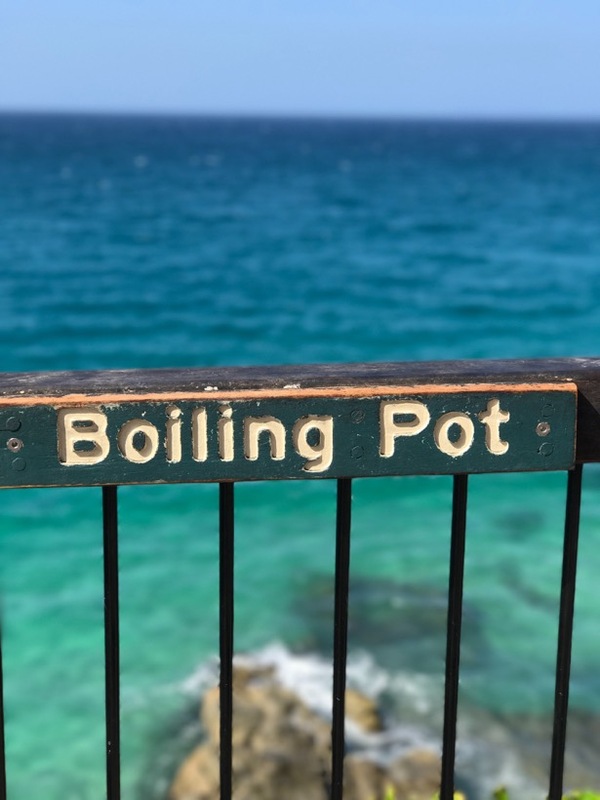 This time around, I met up with two fellow travel bloggers Michelle and Hannah (from the U.S) and they showed me a picture of a place near Noosa National Park which they’d heard about: The Noosa Fairy Pools. The picture looked great! A sparkling, blue tidal pool with a gorgeous young woman, just floating in pure and utter peace. Not a soul nearby to be found. After typing it into Google and finding that it was only a 30 minute walk from the carpark, we decided to go! The tree featured in this picture is one of the gum species. It’s actually called the Paperbark for its paper-like shedding qualities. Back in school, we’d rip sheets of this off the tree and write notes to each other. So getting there by foot (the only way) was more on the 45 minute side but admittedly, we stopped *many* times along the way. Why? 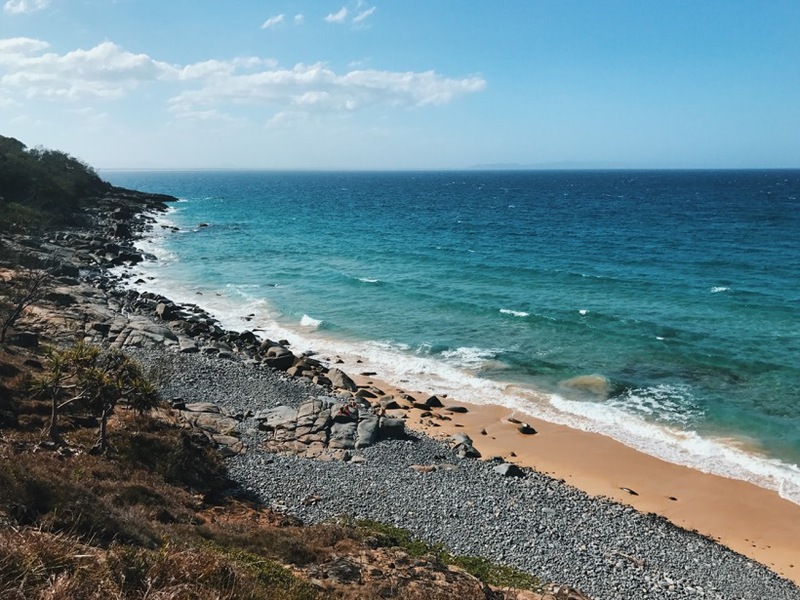 I was astounded by the beauty of the coastline, especially as this was the first time that I, the local, had seen the ‘other’ side of Noosa. The scenery was jaw-dropping on each turn and it was lovely walking through the National Park’s bushland. 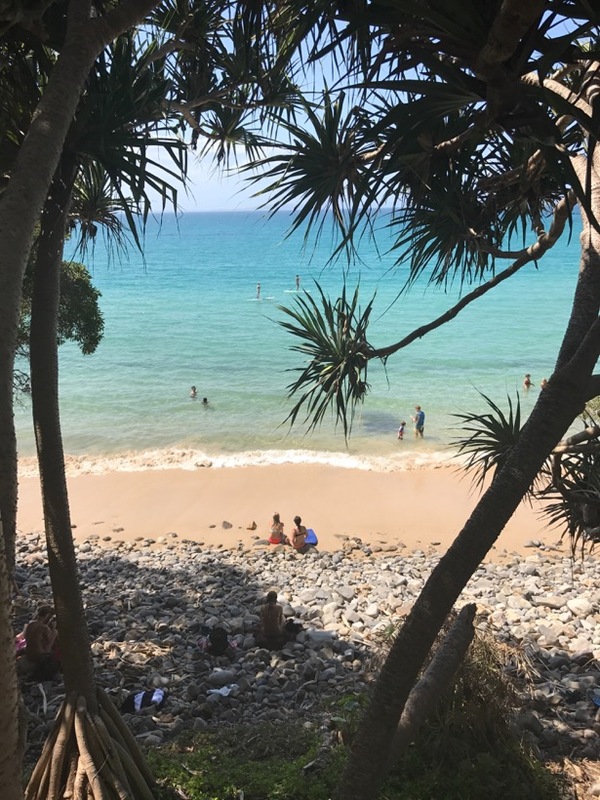 On your way to the Noosa Fairy Pools, you will have the chance to stop at many lookout points and a couple of small little beaches (like Tea Tree Bay) which you won’t have to share with many other people. 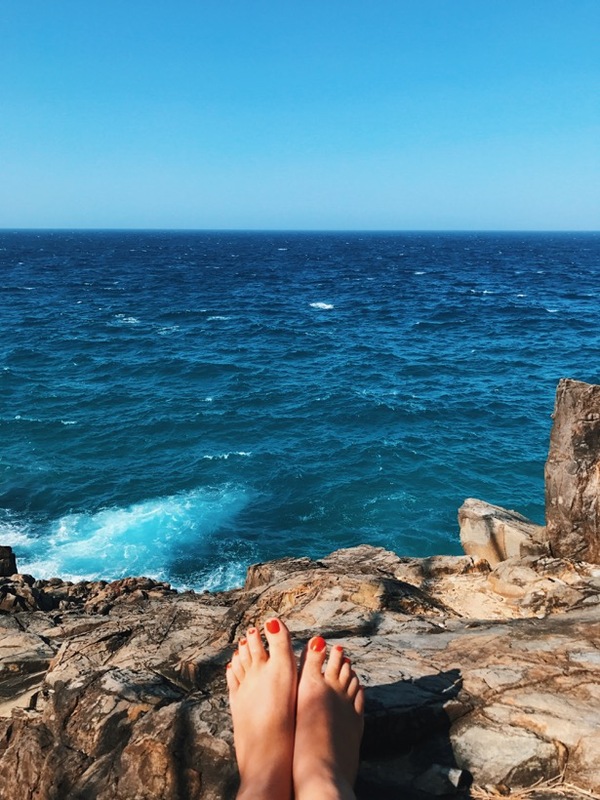 Perfect timing – just had a pedicure done the day before! So after the 45 minute walk along the sunny cliff face (bring suncream! ), we finally made it to the Noosa Fairy Pools. 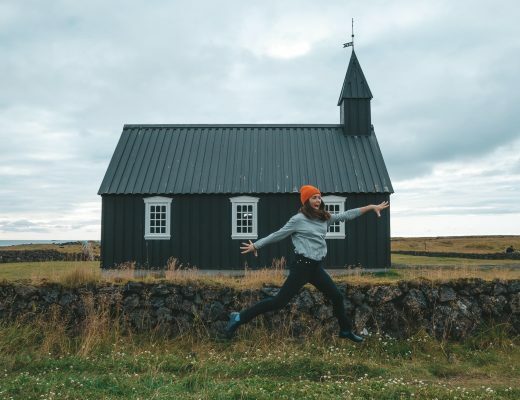 Think less ‘secluded’ and more ‘packed with Swedish, German and Brazilian backpackers. No worries, I still got a couple of snaps but I didn’t jump into the water. 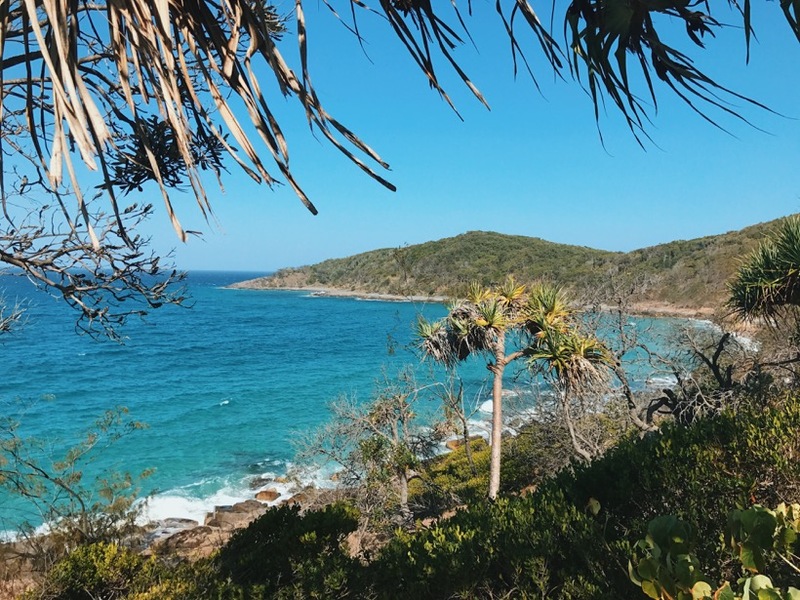 Let’s just say that I’m super glad I went – I got some incredible photos for this post for the walk along the way and I got to see a new side to Noosa. My advice would be to stop at the beach along the way and make that your swimming spot. In saying that, I was at the Noosa Fairy Pools on a pristine day without a cloud in the sky. And it was the second last day of the school holidays, so busy anyway. 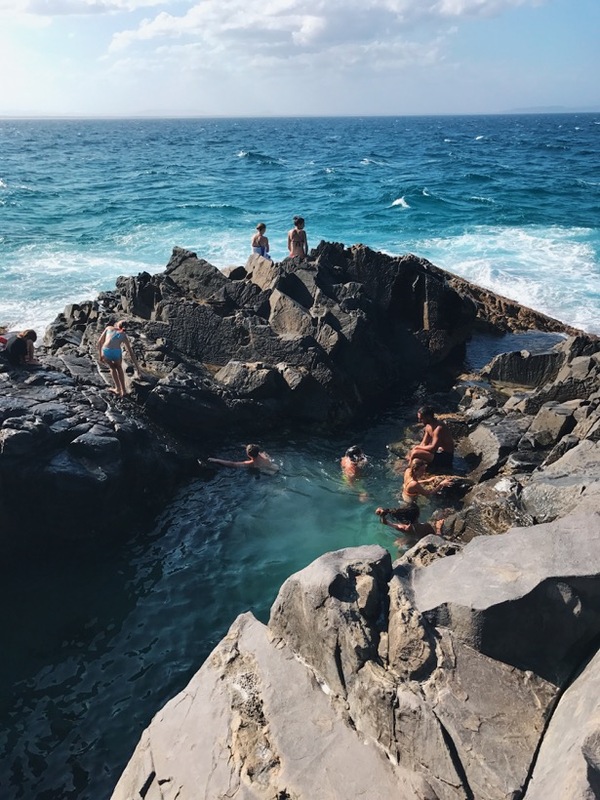 The Noosa Fairy Pools – if you manage to get it all to yourself, it’s not a bad little spot! Totally in love with this piece of Australia. If you’ve been to the pools or are planning on heading there, let me know your thoughts. Also, if you’ve been to Noosa before, tell me if I missed something special. So have you been to the Fairy Pools? At Noosa’s ‘Blended’ cafe, trying to cool down. Girl, I got you! 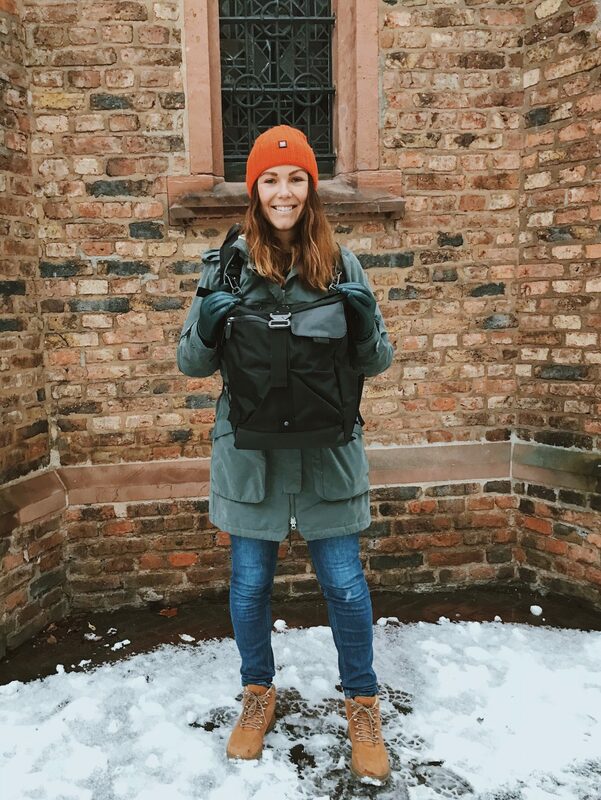 So pleased you love my stuff – you wouldn’t believe how long it takes me to do it all including the blog, writing, photos and Instagram/Facebook. It’s worth it though when I hear things like this! Hiiii Phoebe! You know how tough it is to choose a Single blogpost to favourite, because you have so many good ones? Fast forward I’m back home from the most amazing solo adventure I’ve had to date and I am already planning my next big trip: DOWN UNDER! and I’ve looked here for inspiration. This fairy pools are beautiful. Fingers crossed I get to see them next! Hi Kenny! I have got to say that this my favorite blogpost of yours. And I´ll tell you why. This reminded me of home! I come from Honduras and not a lot of people know this but after you guys (Australia) we have the second biggest coral reefs in the world. <3 I always miss the beaches from and I guess you do too since were now living in Germany. If only Germany had better beaches! Vamos a la playa oh oh oh. Australia is truly a gem. Hopefully I can make it there one day. So glad that youre sharing beautiful places of the world with us. Hey Astrid, thanks a lot for stopping by my page and leaving such a heartwarming comment. 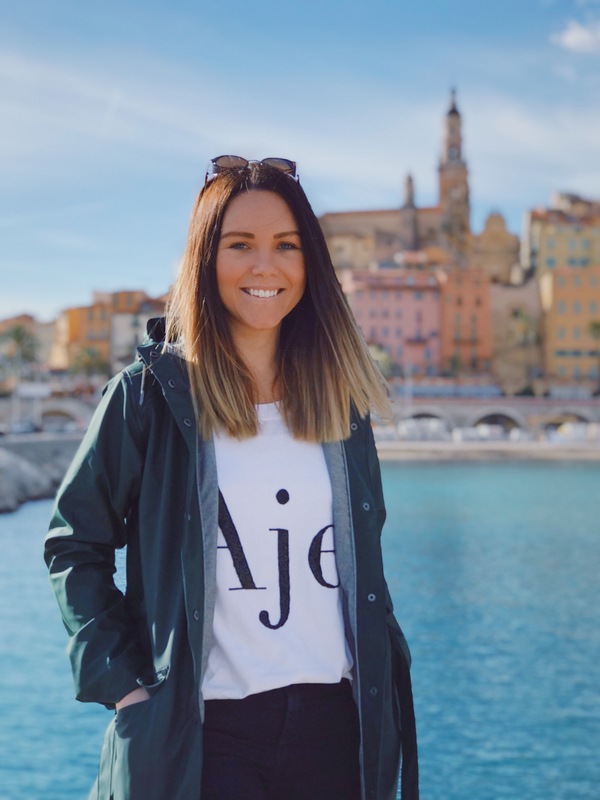 I believe you when you tell me this post reminds you of your home – sometimes when it’s rainy and miserable in Germany, I really wonder why I gave up such good beaches and weather in Queensland 🙂 But that’s part of moving abroad I guess, you can’t have everything.